When you come to Clay & Company New Car Sales and Leasing, expect us to listen to you and follow your directions. You are the boss. Enjoy variety, courtesy, and comfortability when you work with us. Choose exactly the vehicle you want - any make, model, or color. 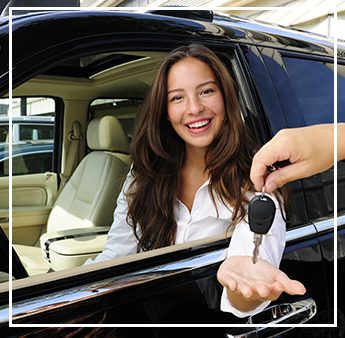 With our accommodating team, you can explore a variety of current and stylish vehicles. They come fully warranted and can be easily maintained. Factory incentives, rebates, and special financing are available through the manufacturer and cars can be serviced at any shop that you prefer. With us, there's no need to leave work or home to look for a great deal ever again! We do all the work for you. This includes working with local dealerships to find the car you want, negotiating the best price, and handling all the details of the purchase. Save your time and money with car buying and car leasing support from our team. Remember That Trade-Ins Are Welcome! Enjoy the convenience of having our Auburn, California, team deliver your new car to you. We can bring it to your home or work place. Simply arrange for delivery, and we take care of the rest. Delivery services are available in the Greater Sacramento area and the San Francisco Bay area. You will receive high-quality care from our team. There's never any up front or separate fees for our service. You can also count on rapid response to your inquiries. We care about you and your needs. We work for you. This is our promise.